‘Walkies!’ What dog doesn’t love to hear that magical word? Indeed, to most dogs, it truly is music to their furry ears! However, while all of the great dog owners among us (we know you are, of course, one of them) know that it is crucial to take their dog for a daily walk, the thought may not fill them with joy the way it does their darling dog. Why is this the case? Granted, the answer could vary from a lack of training to simply not knowing the outdoors or giving preference to putting your feet up in front of the TV than braving the elements outside! However, a reason you may not have considered and which in fact could be putting a real dampener on walkies, both for you and your darling doggy, is the matter of whether you have opted for a harness or not. 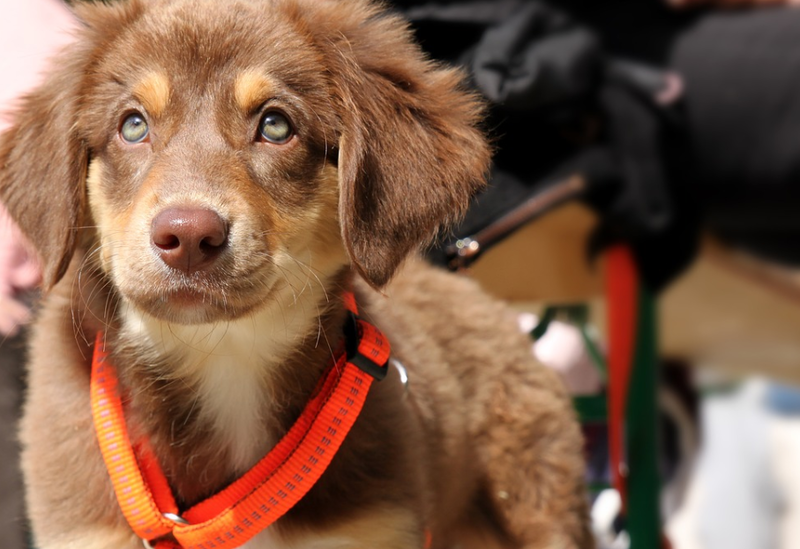 Could the use of a harness really have such a positive impact for you and your dog? Let’s find out. We know you want to have a relationship with your dog and that close bond that you feel when you are cuddled up together inside should extend outside the home boundaries. So why do we say that it is easier to communicate with your dog when they are wearing a harness as opposed to a standard collar? Harnesses help you, as the owner, to communicate a clearer message to your precious pooch in a way that they can quickly pick up on. 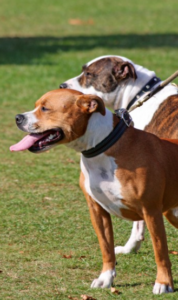 A gentle lift upward on the back connection of the harness, for instance, will quickly alert your dog to the need to slow down. 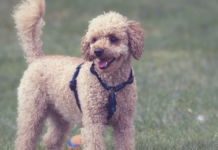 Using the front connection of the harness you can easily communicate to your dog a change in direction which you wish to make. Ultimately, you are opening up the doors of great communication, not only when you are at home, but when you are both out and about as well. If you are the proud owner of a large breed dog or even a smaller dog that has a lot of strength, this pointer is definitely for you to take on board. There is nothing worse than seeing a dog take its owner for a walk. The strong dog is pulling forward and the poor owner is left dangling behind futilely attempting to drag their beast back into line! To be honest, neither you or your dog is going to enjoy walks like this and it will certainly do nothing to create a bond between you both, more than likely it will result in the opposite happening. Using a harness, on the other hand, gives you back control of your dog. 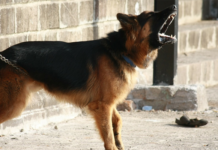 This means that even dogs that are still lacking somewhat in the training department can still better behave on their walk. When your dog is wearing a normal collar and is pulling on the leash during your walkies time there is a whole lot of pressure being put on the neck and trachea. 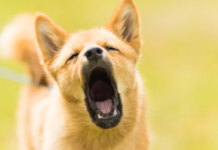 Over time this pressure can result in your dog having breathing difficulties. Such issues can give the dog anxiety when out for walkies and result in a vicious circle of increased leash pulling. Remember, to many dogs their walk is the highlight of their day. 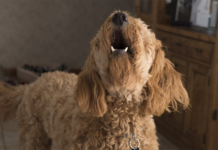 However, if your dog has a constant bad experience you may end up depriving it of what is meant to be its greatest joy; not exactly what you are aiming for, right? It’s easy for dogs to get all tangled up when they are being walked with a simple collar and leash. 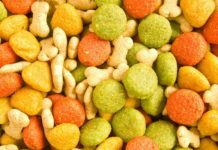 If they are in any way fighting the leash or simply getting rather excited about those yummy treats that they know are hidden away in your pocket, they can end up tangling themselves, and perhaps you as well, in a scene of leash chaos! Not only does your dog risk getting injured but you may also find yourself with an injury to your fingers, hand or wrist as the lash tugs on you in the frenzy. As we discussed above, having your dog wear a harness gives you, the owner more control when you are out for walkies together. This comes in especially useful when you are training your dog. Now, we don’t want you to presume that the training period for your dog only includes the first few months of your life together. You could not be further from the truth! Your dog’s training period should last its entire lifetime. Dogs love to learn and the more that you train together with your dog the closer your bond will become. Not only this, but you will also be blessed with a dog that is obedient, content and knows that it is truly loved. Using a harness makes training easier for you and more understandable for your dog. Do you think that using a harness could be the right thing for your dog? Of course, it is up to you to decide what will benefit your darling dog. However, we hope the five reasons we have outlined above have helped you to understand what dog harnesses are really all about and why your dog could be forever grateful if you incorporate a harness into that very well loved ‘walkies time!